A television ad by Priorities USA Action, the main super PAC backing President Obama, linking Mitt Romney to a woman's death continues to dog the Obama campaign. For the third day in a row, reporters peppered the White House and Obama campaign about the new ad, which CNN fact-checked Tuesday and found to be inaccurate. The ad features Joe Soptic, a steelworker who was laid off from his job at a Kansas City, Missouri steel plant in 2001 after the plant was taken over and eventually shut down by Bain Capital, Romney's former company. The campaign has not endorsed the claims in the ad, but it also has not denounced the impression the ad gives, that if Soptic had not been laid off by Bain Capital perhaps his wife might not have died from cancer. A new attack ad by a Super PAC backing President Obama appears to blame Mitt Romney for a woman's death from cancer after his company, Bain Capital, shut down the steel mill where the woman's husband worked. The ad makes it seem like Joe Soptic's wife, Ilyona "Ranae" Soptic, lost her battle with cancer shortly after he lost his job at GST Steel in Missouri, where he had worked for almost 30 years. "When Mitt Romney closed the plant I lost my healthcare, and my family lost their healthcare," Soptic says in the ad put out by Priorities USA Action, the main pro-Obama super PAC. The ad is expected to air in the coming days in five battleground states. "A short time after that, my wife became ill. I don’t know how long she was sick and I think maybe she didn’t say anything because she knew we couldn’t afford the insurance." Romney stopped his day-to-day oversight at Bain Capital in 1999 when he left to run the Salt Lake City Olympics, though he officially remained CEO until 2002. Bain Capital shut down GST Steel in 2001, costing Soptic his job. According to Mr. Soptic, his wife received her primary insurance through her employer – a local thrift store called Savers – and retained it even after his layoff. Soptic's policy through GST Steel was her secondary coverage. In 2002, Mitt Romney formally left Bain. Sometime in 2002 or 2003, Mr. Soptic says his wife injured her rotator cuff and was forced to leave her job. As a result she lost her health insurance coverage and Mr. Soptic's new job as a janitor did not provide coverage for his spouse. It was a few years later, in 2006, that Ilyona Soptic went to the hospital with symptoms of pneumonia. She was diagnosed with stage four cancer and passed away just days later. 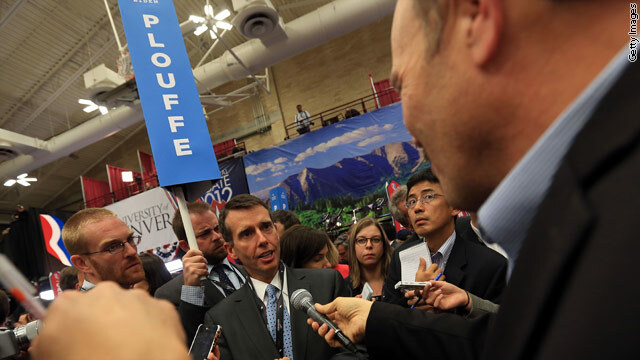 Joe Soptic, an Obama supporter who appeared in another political ad released by the Obama campaign back in May, told CNN he blames Romney for the loss of his job and his insurance. "That is the way I feel," Soptic told me over the phone. "Mitt Romney is a very rich man. I mean, it is obvious if you watch him on television he is completely out of touch with the average family, you know middle income people. I don’t think he has any concept as to how when you close a big company how [it] affects families, the community – you know, it affects everyone." Priorities USA said Tuesday the ad, titled "Understands," was part of their current $20 million television and online buy, and that the 60-second spot would run in the battleground states of Iowa, Florida, Pennsylvania, Virginia and Ohio. The Romney campaign disputes the ad’s accuracy. "President Obama's allies continue to use discredited and dishonest attacks in a contemptible effort to conceal the administration's deplorable economic record," Romney spokeswoman Amanda Henneberg said in a statement. "After 42 months of unemployment above 8 percent, it is clear that the President and his campaign do not have a rationale for reelection." The Obama campaign and the White House are keeping their distance from the debate. During the White House briefing Tuesday, Press Secretary Jay Carney said he hadn't yet seen the ad. "I'm simply saying that I have not seen this. So how could I possibly assess it?" Carney said. "But you can. Will you assess it later?" I asked him. "If you ask me tomorrow, sure," Carney answered. When I followed up with him after the briefing he told me though he may look at the ad his assessment “will be I have no assessment." It's become a common occurrence this election cycle: a Super PAC does the dirty work so the campaign, the candidate and, in this case, the White House don't have to. UPDATE: Priorities USA tells CNN that ad has yet to air, but will soon be added to its swing state media rotation. President Obama and Republican presidential candidate Mitt Romney both open up about their personal faiths to an unlikely source- the magazine published by the Washington National Cathedral. CNN's Brianna Keilar reports. President Barack Obama speaks during the 113th National Convention of the Veterans of Foreign Wars of the U.S. at the Reno-Sparks Convention Center in Reno, Nevada. 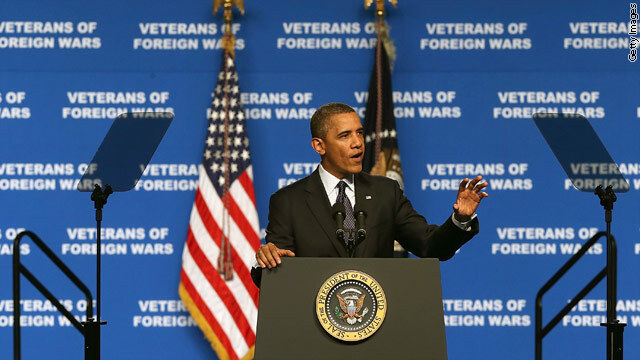 Reno, Nevada (CNN) – President Obama spoke to thousands of veterans Monday at the National Convention of the Veterans of Foreign Wars, but he also delivered a message to congressional Republicans. "Stop playing politics with our military," Obama told the crowd here. 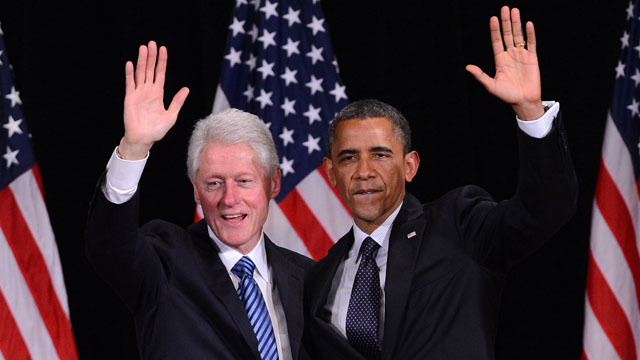 Obama and Bill Clinton together again but on the same page? 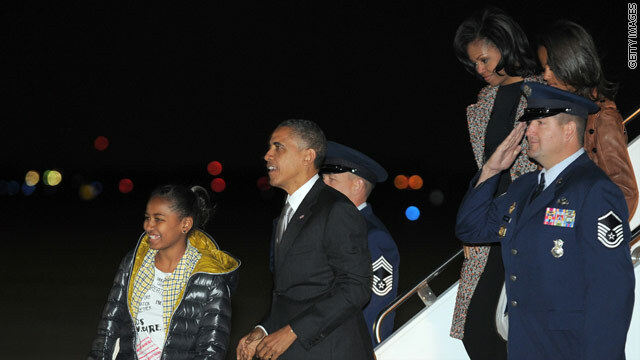 Appearing together at three high dollar, star-studded fundraisers in New York City Monday evening, President Barack Obama and former President Bill Clinton raised millions for Obama's campaign. They're on the same team but are they always reading from the same playbook? CNN White House correspondent Brianna Keilar has more on the curious relationship.